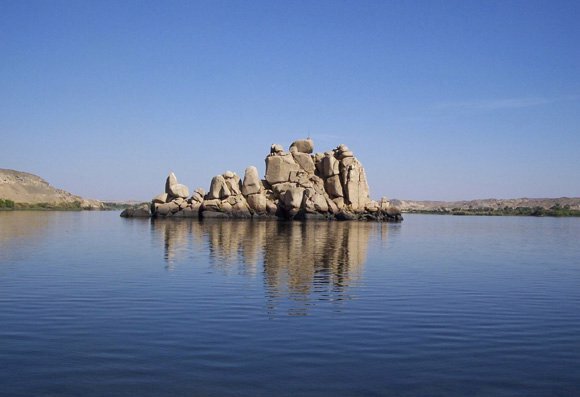 The response for the Aswan Retreat has been really wonderful. The December 19-22 Retreat is already full. 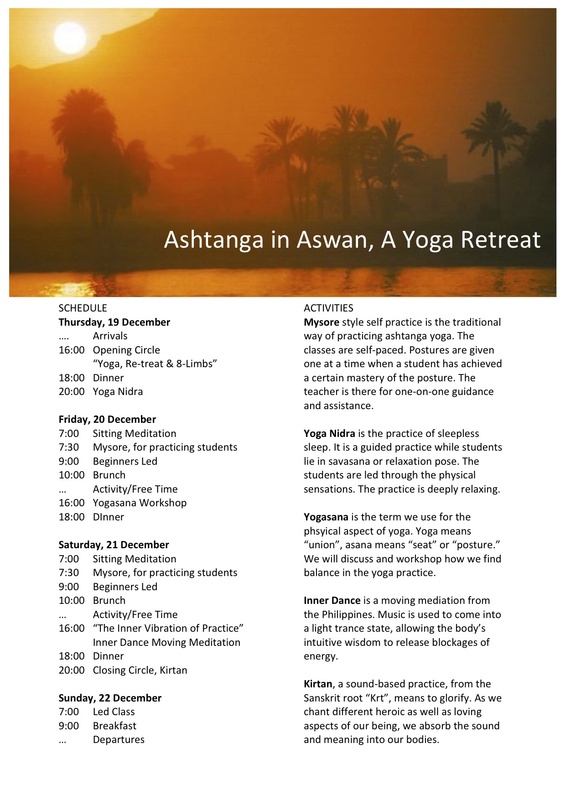 As there is still interest, Fekra Cultural Center and Ashtanga Yoga Egypt have decided to hold a second batch! We’re very excited to be able to extend the program for others, regardless of yoga experience or level. The second retreat will be on December 24 to December 27. It will be the same set up, starting in the afternoon of the 24th, ending after morning class on the 27th, the full two days will have a morning class, brunch, free time to tour beautiful Aswan, and an afternoon talk/meditation/workshop class. The retreat cost is 1500L for accommodation, food, and yoga classes. To reserve your spot, we are accepting full or deposit payments (50%) up until December 14. Call 0122 371 7729 or email me at kaz.castillo@gmail.com. This entry was posted in Classes & Offerings and tagged Ashtanga Yoga Egypt, Aswan, Aswan Retreat, Egypt by sisterhoodofthetravelingmala. Bookmark the permalink.